Summary: Astrid and her best friend Nicole seem to be drifting apart as they get ready to enter junior high. When her mother takes the two girls to the roller derby, Astrid discovers her passion. She tries to convince Nicole to sign up for roller derby camp with her, but Nicole prefers ballet. Astrid goes anyway, and the four weeks of camp turn out to be life-changing for her. As the youngest and least experienced member of the group, she has the hardest time getting into shape, and spends more time lying on the rink floor than skating. But she also makes a friend, dyes her hair, and gets a new derby name. By the time the girls get to do an exhibition bout, Astrid is still the weakest player, but she’s learned enough to be able to contribute to her team at a crucial moment. Pros: Middle grade readers will cheer for Astrid as she learns how to be herself and to navigate the tricky waters of girls’ friendships. 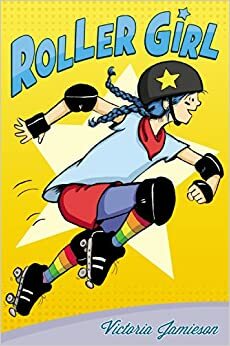 Fans of Raina Telgemeier’s Smile and Sisters will love Roller Girl. Summary: Because Melody’s mother died when she was a baby, Melody’s never really missed her. She and her father are so close that the two of them seem like a complete family. 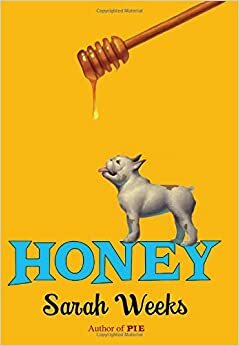 But one night, the phone rings, and Melody hears her dad call the person on the other end “Honey”. He tells her it was a wrong number, but she’s sure he has a new girlfriend, and with the help of her best friend Nick, sets off to figure out who it is. There are a couple teachers at his school, including her awful fifth grade teacher Miss Hogan, plus the new hair salon owner who it turns out was Melody’s mother’s best friend. The mystery is slowly solved and along the way, Melody learns more about her mother, her father, and herself. Pros: Like Sarah Weeks’ Pie, this is an immensely satisfying book with likeable characters and a plot that unfolds at just the right pace to keep the reader guessing to the end. Cons: Although plenty of third, fourth, and fifth graders would love this book, there’s no big “hook” to use in a book talk. 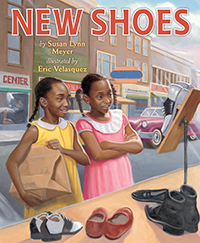 Summary: When Ella Mae’s family scrapes together enough money to buy her a new pair of shoes, she is dismayed to learn that black people can’t try on shoes at the store. She watches a white girl try on her shoes, while Ella Mae’s mother has to trace around her foot to figure out her size. The first day she wears her shoes to school, she feels bad about her experience at the shoe store all day. Then she and her friend Charlotte come up with a brilliant plan. For weeks, they do chores for people, asking for payment in used shoes. Finally, they display all the shoes in their barn, then put a sign up announcing people can buy a pair for ten cents and another used pair of shoes. The people in their community are thrilled that they’ll never have to use the shoe store again. Pros: I loved this powerful story about segregation. Instead of the girls feeling victimized by it, they come up with a solution and work hard to make it happen. Cons: The solution is inspiring but a bit simplistic, and a larger conversation about segregation would be helpful when reading this. 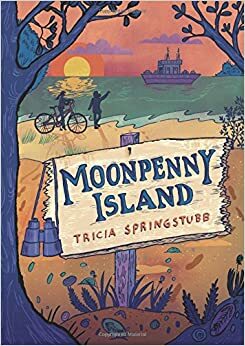 Summary: Flor and Sylvie have always been inseparable friends, the only two girls their age who live year-round on Moonpenny Island. But at the end of the summer when they are both 11 years old, things start to change. Sylvie suddenly announces that she is leaving the island to attend private school on the mainland. Flor’s parents are fighting almost every day, and her older sister Cecelia acts like a stranger. As Flor starts school as the only sixth grader, she has never felt so alone. But as summer slowly moves to fall and winter, she begins to discover life on her own terms and to reach out to friends she never knew were there. Pros: Beautifully written, with an almost magical island setting and memorable characters. Give this to fans of Because of Winn-Dixie. Cons: Some readers may find the plot slow going. 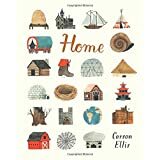 Summary: With a single sentence on each page, Carson Ellis explores the concept of home. Some of her homes are real (“Home is an apartment”), and some are fanciful (“Atlantians make their homes underwater”). Each page is beautifully illustrated with many rich details. Pros: This book is a feast for the imagination. Kids will enjoy poring over the illustrations. There could be many ways to extend this into activities, such as researching homes around the world, or designing homes for different people or creatures. Cons: There’s not a straightforward narrative, and kids looking at this book on their own might find it a little confusing. Summary: Starting with the answer to the question in the title (China), the book explores how and why the wall was built within the context of Chinese history. In addition to the main narrative, there are many single-page sidebars that contain information on relevant topics such as Confucius, making silk, and Chinese inventions. 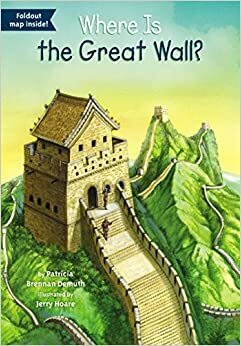 Liberally illustrated with simple black line drawings, the text covers the history of the Great Wall from the construction of the first walls around 4000 B.C. to Deng Xiaoping’s ambitious plans to restore the Wall at the end of the twentieth century. Pros: This is one of a fabulous series of books published by Random House. There are many, many excellent biographies in the “Who Is” series, and now there are “What Is” and “Where Is” titles that cover mostly U.S. history, but also some world history. Filled with kid-friendly facts such as: if the Great Wall were in the U.S. it would stretch from Florida to the North Pole, and over a million Chinese workers died while building the Wall. Cons: The world timeline at the end could be a little more complete to show what was going on in the rest of the world during important Chinese events. 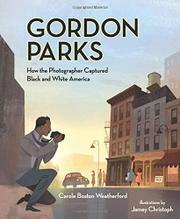 Summary: Born in 1915 in Kansas, Gordon Parks grew up hearing from his white teachers that he was destined to be a porter or a waiter. He did indeed become a waiter, but the purchase of a $7.50 camera put him on the road to a new career as a photographer. He worked for the Farm Security Administration, Life, and Vogue, and was the first African American to direct a feature film. He used his photos to work for human rights, exposing the plight of African Americans in big cities like Chicago and Washington, D.C.
Pros: The lyrical writing and colorful illustrations are a perfect match. I love biographies like this that teach about a little-known person who made contributions to both art and humanitarianism. Cons: The spare text gives only the bare bones of Parks’ life. Be sure to read the author’s note at the end.